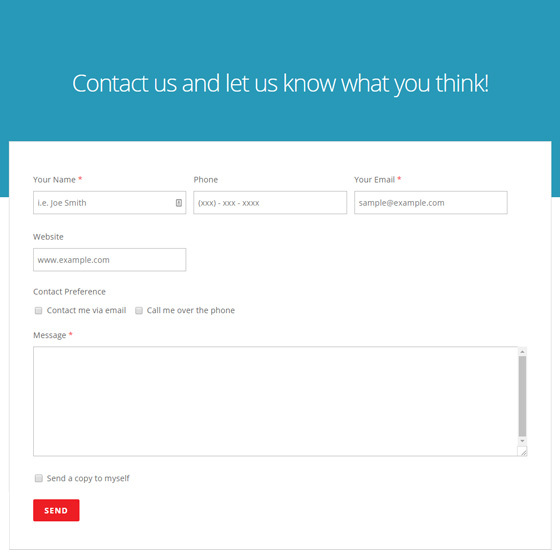 The Contact module allows you to insert contact forms and send it to any email address using the Themify Builder. It comes with a drag and drop form builder that allows you to create unlimited forms and custom fields. It also allows you to enable submissions to become contact posts. This creates and stores all submitted messages in your database. This is a great backup just in case your mail server fails for whatever reason. In addition to this, you can also enter custom "send to" address, form field labels, and options to include captcha and send copy checkbox. The appearance of the form can be styled using the module's Styling panel.